If you’re a vintage-lover, indie cool cat or just a shameless cheapskate, you’ll love the good deals you can snag at a flea market. 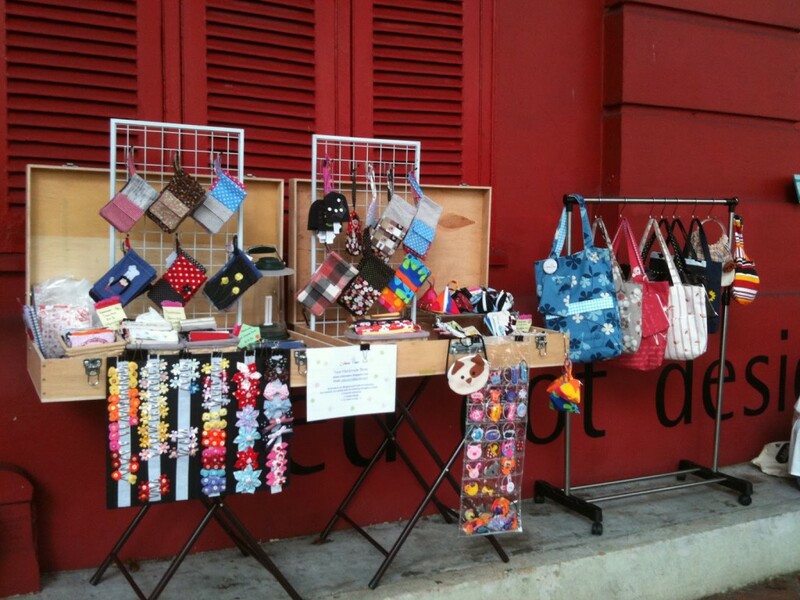 Here’s our list of flea markets in Singapore you should definitely check out. 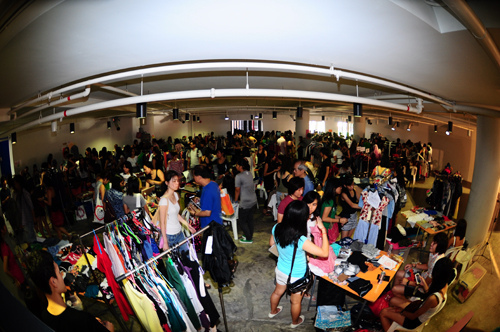 Come the weekend, many flock to the first and fourth floor of *Scape to get their hands on some good buys. From pre-loved bags and apparel to Victoria’s Secret perfumes, you’ll find all sorts of great options to revamp your wardrobe (without burning a hole in your wallet). Handy tip: The best time to visit the flea market is around closing time, when stall owners are more willing to lower their prices as they’re eager to get home. Prices can go as low as S$1 around that time, so it just might be worth the wait. 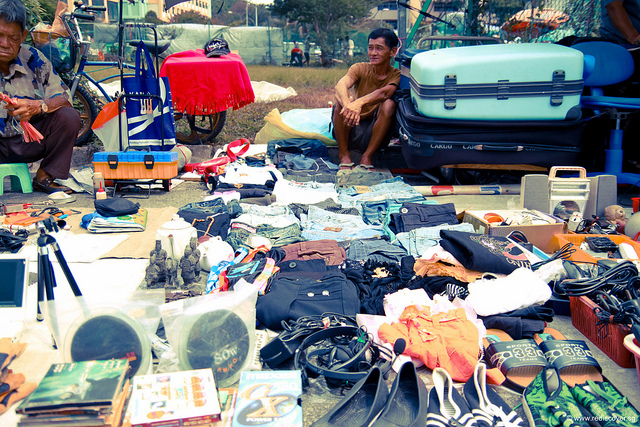 The oldest flea market in Singapore, you can expect to find almost anything here. From cassette players (from way back when iPods were non-existent) to vintage books and souvenirs, the Thieves’ Market at Sungei Road is a treasure chest for those looking for a piece of the past. Despite the mess and dust (and not to mention the sweltering heat – it’s outdoors! ), you’ll probably find something nifty if you look hard enough (someone from CNN found a Holga!). Handy tip: Save this outdoor flea for the late afternoon, when it’s cooler and you’re less likely to pass out from the heat. Also, this isn’t the best place to find clothes and accessories – you’re more likely to find a pizza holder than anything decent to wear. Once every 3 months, on a Sunday from 2pm-7pm. Visit the Zouk website for more details. 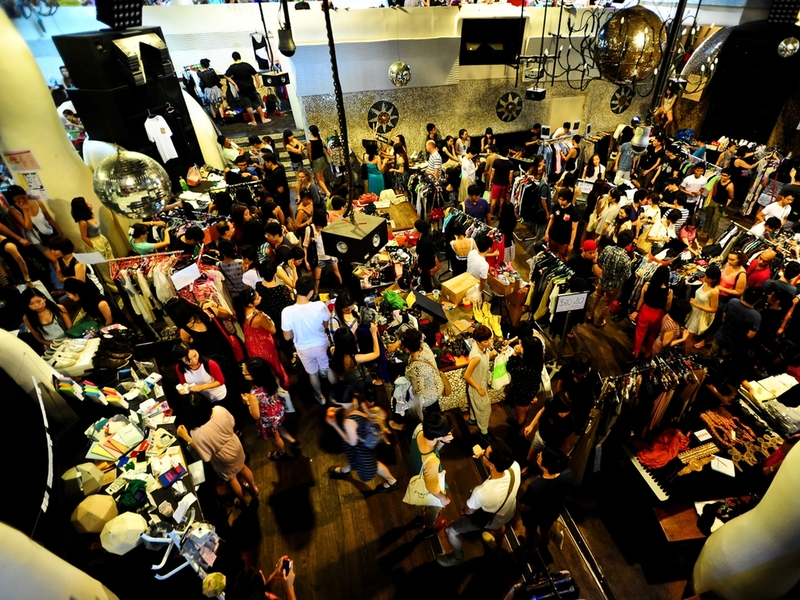 A quarterly event that attracts the best of designers, celebrities and fashionistas, the Zouk Flea and Easy is easily the most anticipated flea market of the year. Feel free to browse the racks of pre-loved goodies and fashionable threads (which, if you’re lucky, may have belonged to a celeb). Handy tip: Although it’s called a flea market, the prices of items on sale are definitely not as dirt cheap as you would think. Bring a wad of cash. From 5pm to 12 midnight on 13 July, 3 August, 7 September, 12 October, 9 November and 7 December. Visit their website for more details. Only the most unique items (think handmade bears, jewellery and original paintings) can be found at the Market of Artists and Designers (MAAD). A platform for creative people to showcase and sell their works of art, this flea market is a must-see if you’re a fan of local artists and designers. Handy tip: This is more than just a flea market with art pieces for sale. Talk to the designers and artists, who are usually more than willing to share their stories and background.